Hello everyone, today I'm sharing a super simple encouragement card using images and sentiments from "Beautiful Day stamp set" by Simon Says Stamp. This card measure 4-1/2" x 6" inches but you can make it slightly smaller or slightly larger to fit USA or UK standard C6 envelopes. Beautiful Day stamp set includes 22 individual stamps . 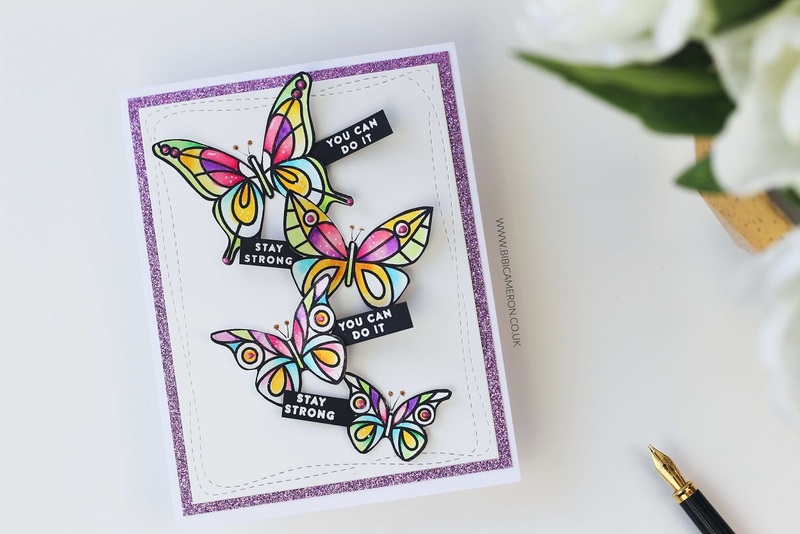 8 butterflies, 9 sentiments to mix and match to create papercraft projects for different occasions. I love the stained glass style butterflies and I had different ideas to use them for my blog post today. However, once I sat to craft I got stuck in one idea and the idea evolved to be super simple and easy. So first, I wanted to use my craft knife to partially cut the butterfly wings as shown in the picture below. Hmmm, I'm not an expert with the craft knife and I couldn't stamp various butterflies close to each other to do this so the things got tricky. I rescued the panel above from the papercraft heaven (bin) just to show you what I mean. I stamped all the butterflies on Bristol Smooth Paper using the Tim Holz platform and Versafine Onix Ink, then I applied colours using water-based markers: Zigs and Arteza. I fussy cut the butterflies and I glued them on a panel using Nuvo Deluxe Adhesive. 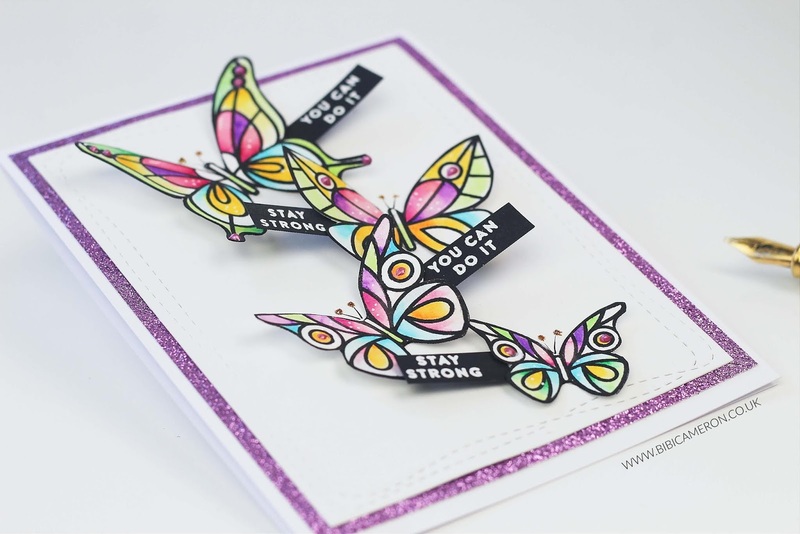 It took me a while to decide how to add the sentiments, the challenge was keeping the design clean and simple so I made small banners to add them underneath the butterfly wings. Nailed it! I heat embossed the tiny sentiments from the stamp set on black smooth cardstock using Clear Ink and Nuvo White Fine Detail Embossing Powder. I like this embossing powder as I always get crisp and sharp sentiments regardless of the size of the stamped fonts. You can do it.. stay strong! it is a beautiful message to send to friends and family when they are facing a challenge. I also used a Nuvo Shimmer Pen and Nuvo drops here and there to embellish. 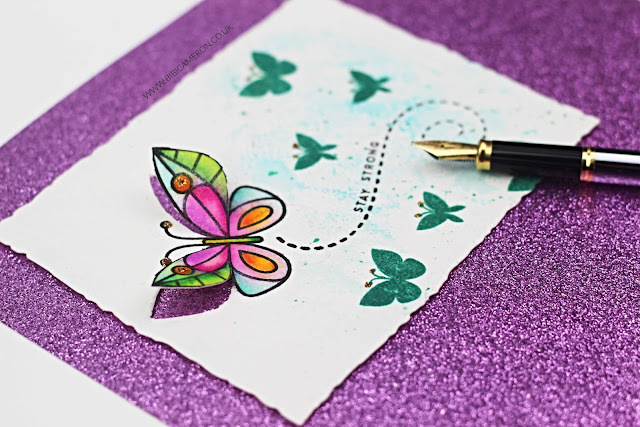 I added a panel of purple glitter paper and I glued the panel on a white card base. Done! 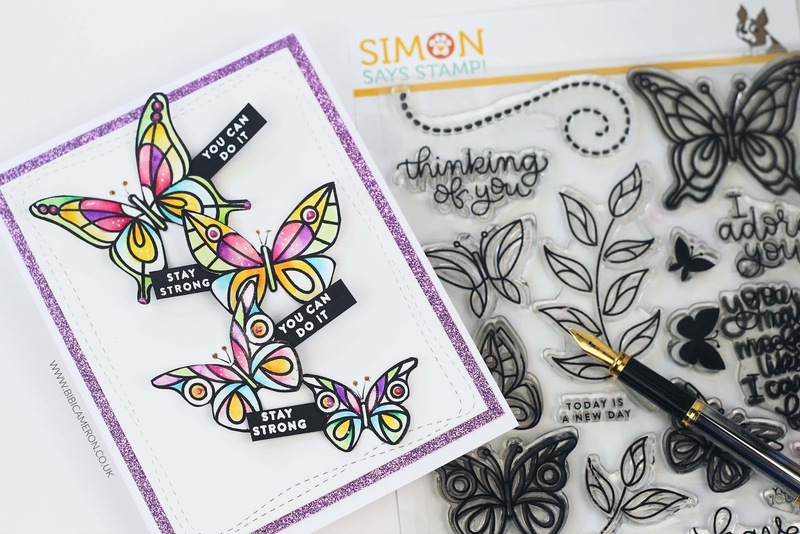 Tags: Beautiful Day Stamp set, butterfly card., Simon Says Stamp! 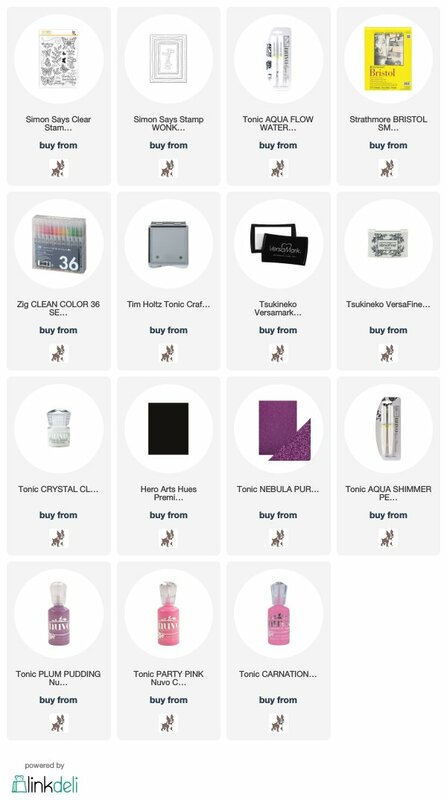 Papercraft heaven is getting lots of visitors this month lol. Glad you showed us it. Like how you for those sentiments in on the banners. I love butterflies.